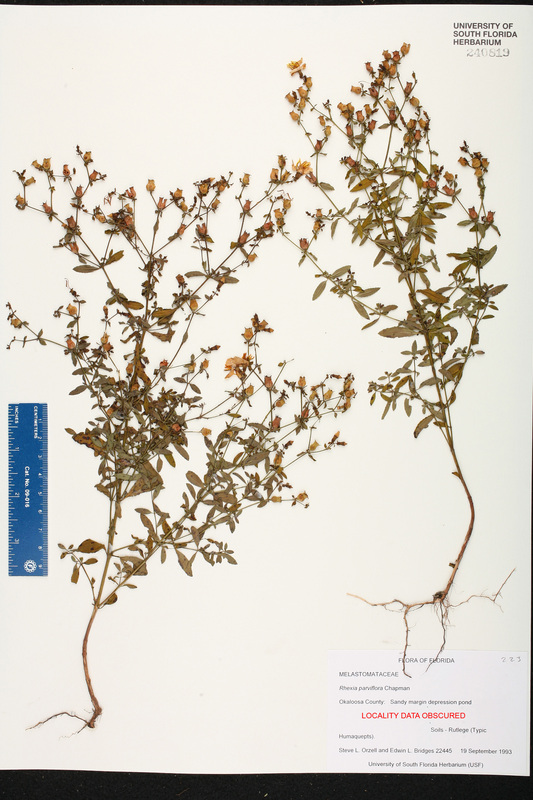 Currently Accepted Name: Rhexia parviflora Chapm. 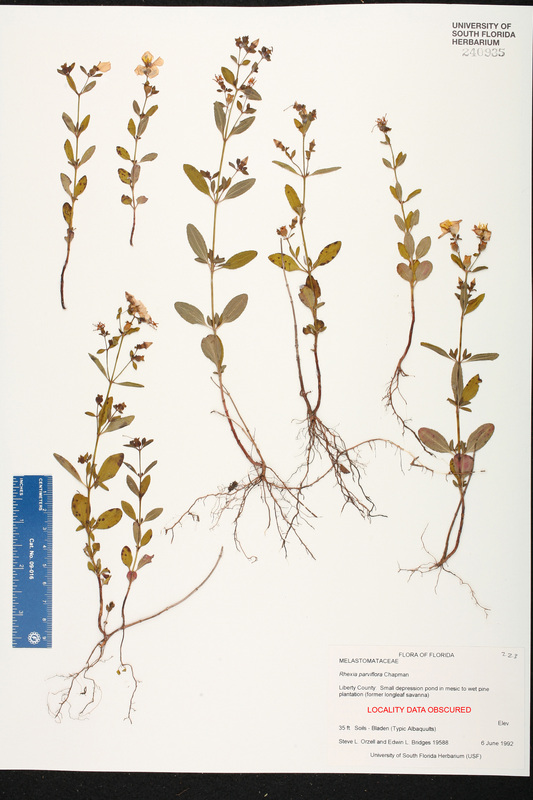 Locality: Florida, Okaloosa Co., Contact USF Herbarium if additional information is required. Habitat: Small sandy ephemeral depression pond. Soils - Rutlege (Typic Humaquepts). Habitat: Sandy margin depression pond. Soils - Rutlege (Typic Humaquepts). Habitat: Small depression pond in mesic to wet pine plantation (former longleaf pine [Pinus palustris] savanna). 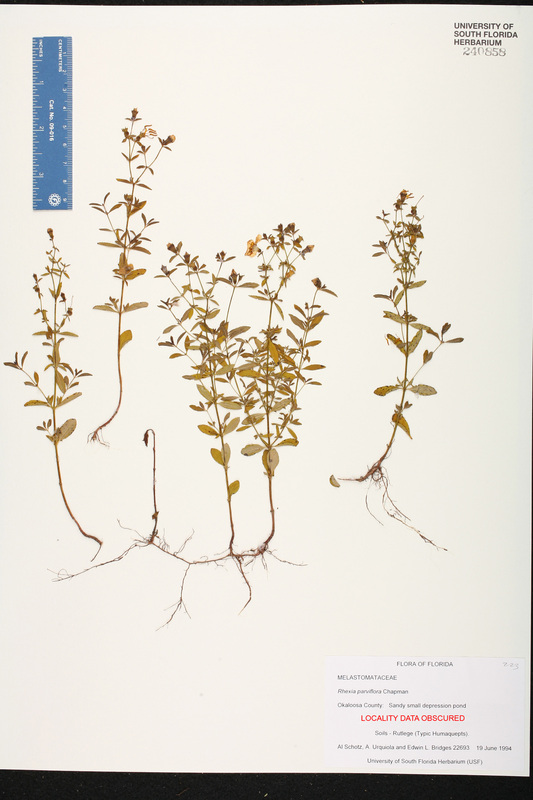 Soils - Bladen (typic Albaquults). Habitat: Sandy small depression pond. Soils - Rutlege (Typic Humaquepts). 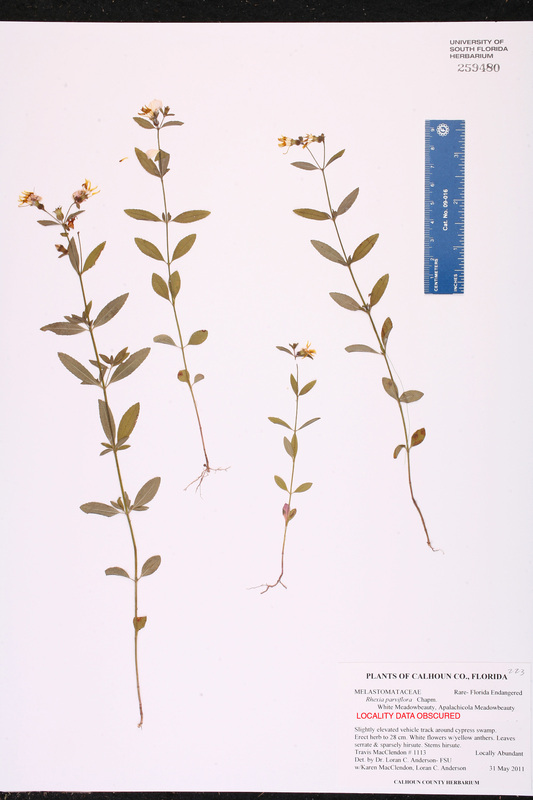 Locality: Florida, Calhoun Co., Contact USF Herbarium if additional information is required. 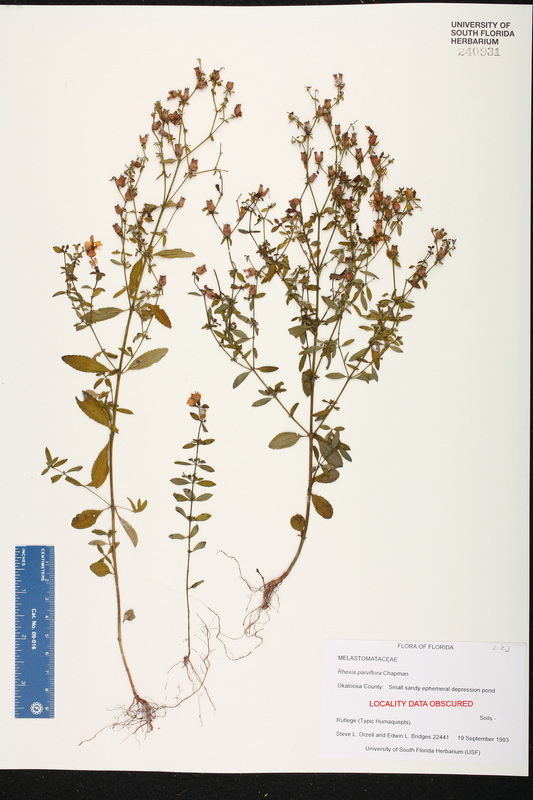 Description: Locally abundant erect herb to 28 cm; stems hirsute; leaves serrate and sparsely hirsute; flowers white with yellow anthers. Habitat: Slightly elevated vehicle track around cypress [Taxodium] swamp.